1939 Signatures is something you should read. 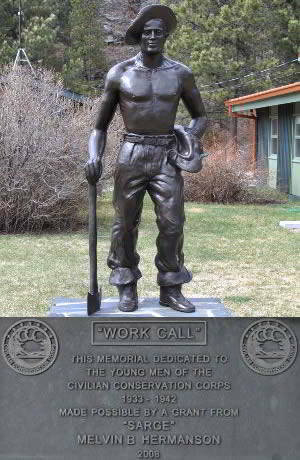 A truck used by the Civilian Conservation Corps at CCC Camp Pactola is owned by Black Hills resident Rod Shafer. The truck was on display outside of the CCC Museum of South Dakota during the 2018 museum open house. 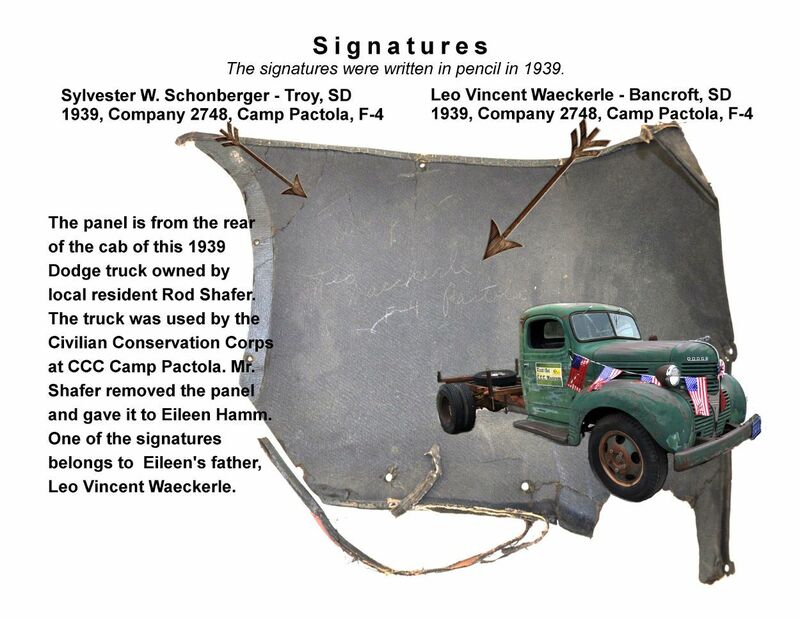 In 1939 two enrollees serving at Pactola signed their names on the back panel in the cab of the 1939 Dodge. The names Sylvester W. Schonberger from Troy, SD and Leo Vincent Waeckerle from Bancroft, SD are written in pencil. Shafer removed the panel and gave it to CCC Museum of South Dakota board member Eileen Hamm. Leo Waeckerle is her father and the panel has been donated for display at the museum.